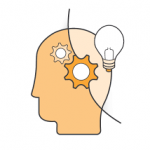 Our easytocloud instructors deliver a variety of courses for AWS Certified Training Partners. Approved and certified by AWS, our trainers have both the technical background as well as the teaching skills to guarantee excellent results. easytocloud has trained over 1000 AWS students (architects, administrators and developers) since 2015. After a solid initial training, maintaining knowledge and exchanging current best-practices further optimizes the effectiveness of cloud practitioners. Therefore, we offer on-the-job-training to update your professionals and help them to solve complex challenges.